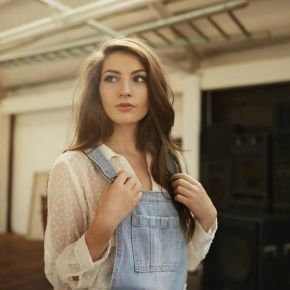 Bringing a fresh, country-tinged twist to the UK’s pop scene 19-year old, County Down-born singer Catherine McGrath releases her debut EP through Warner Bros. Records on December 23rd. The lead track ‘Hell Would Have To Freeze Over’ is a sassy and confident introduction to the talented Northern Irish singer-songwriter. It is an upbeat acoustic performance showcasing McGrath’s beautiful vocals and exceptional songwriting capabilities. Attracting a youthful audience who love Taylor Swift and Ed Sheeran as much as Rascal Flatts and Kacey Musgraves, ‘Hell Would Have To Freeze Over’ was featured on 35 Spotify playlists including the New Music Friday Playlist two weeks ago and is currently #1 on the Very Nearly Nashville Playlist with Catherine as the cover star. The second track on the EP ‘Cinderella’ debuted on Spotify’s New Music Friday Playlist last week and is followed by ‘She’ll Never Love You’ and a stunning cover of Jessie Ware’s 2014 hit single, ‘Say You Love Me’. Catherine will be supporting The Saturdays’ Una Healy for two special shows in February next year. She will be playing at London’s St Pancras Old Church on the 15th before returning to Ireland to play The Sugar Club Dublin on the 16th.